We are Scout & Molly's Sugar Land. We truly believe that no one style fits all and that we have to have choices for our customers so that she can find something that makes her feel beautiful and comfortable. Our stylists can help our clients step outside their comfort zone, find new trends and approaches to their style in a comfortable environment. Our team believes that we should always treat each person that walks through our doors like we want to be treated and we strive to do that each and every day. We take our clients seriously. 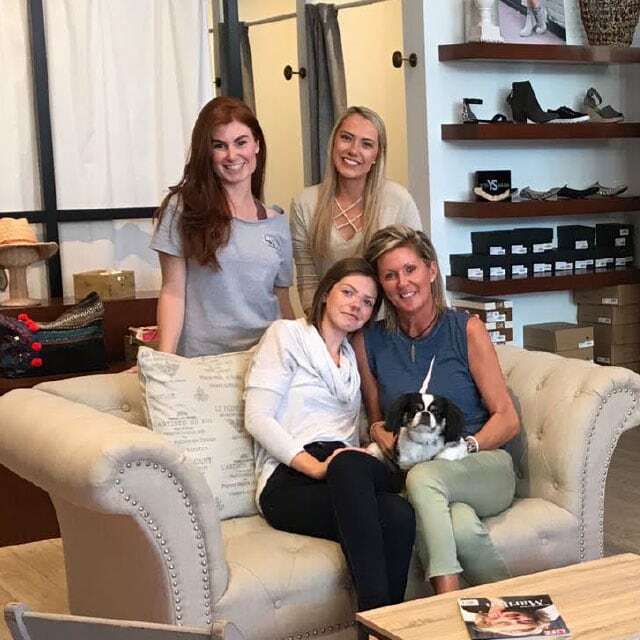 They become like family, stopping to see what’s new and to catch up with their favorite stylist. We hope that our clients feel like they are shopping in their best friends closet. I want a new customer to feel beautiful in the outfits she chooses to try on, be it for a casual day around town or an event she is shopping for. I want her to feel welcome when she comes in and just have fun playing dress-up with her stylist while in the store. I want her to leave feeling she has hit the perfect jackpot for the occasion she was shopping for and excited to wear her new addition to the wardrobe. Tell us about yourself and how you got started with Scout & Molly’s? Prior to this venture, I worked with Merrill Lynch as a private wealth advisor and with well known consumer product giants Mead Johnson Nutrition and Kraft Heinz in financial analyses. My husband and I had moved around a fair bit pursuing further education and growth in our careers. 2016 was the year we could settle down for the long haul and chose Sugar Land as the place to call home and raise our family. What is your favorite part about being a franchise owner? My favorite part about being a Franchise owner is that it is a proven business model with access to resources still giving me the flexibility to make decisions and grow professionally as an entrepreneur, leveraging my education and experience. What do you hope a new customer feels when she shops at your location? When you’re not at Scout & Molly’s, what can you be found doing? What’s your go-to fashion item that you find yourself always wearing? What are five things you can't live without? If a customer was visiting your city, what’s the one place you’d say they have to visit? Sugar Land features several delicious and charming places to dine in. Try a restaurant offering a cuisine that you fancy. Describe your style in one hashtag. We are local and committed to this community and have made our homes here. We give back to multiple charities throughout the year and also bring in local brands as often as possible. We carry a number of amazing brands, so be sure to ask our stylists what their favorite brands are and why. 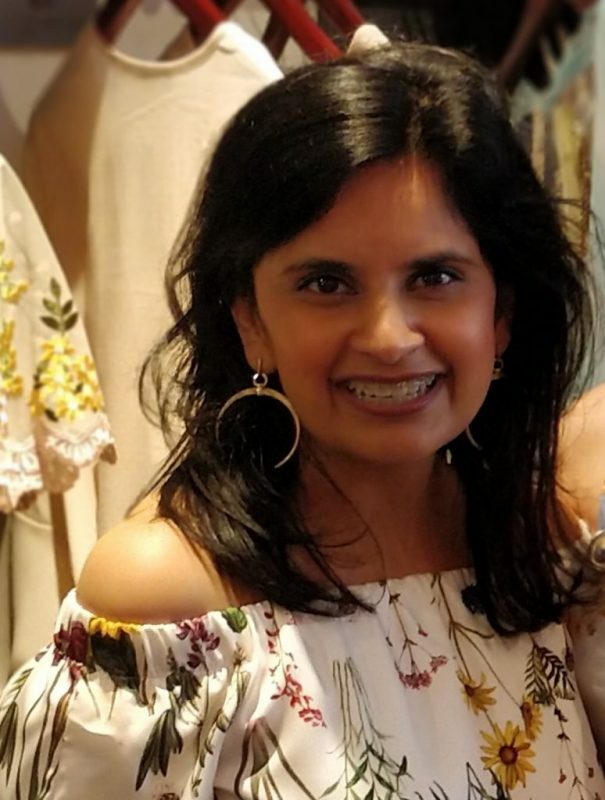 Not only are we a store but we also are personal shoppers, can provide styling sessions and appointments, do trunk shows and private parties, and help you with a closet refresh. Just ask us! Whether you are a local customer or an online friend we can make your experience unique and meet your needs. Copyright 2019 Scout & Molly's Sugar Land. All Rights Reserved.